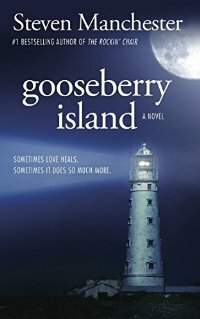 In his creative nature, Steven Manchester births another great masterpiece – Gooseberry Island. This book will take you on an emotional journey. Steven Manchester has won my heart with his writing style and daily am loving it. He doesn’t just write but, writes to light. Gooseberry Island is a great book that I can sacrifice my holiday and festive period to review it and also recommend it to many people, you inclusive. This novel is enthralling. Steven Manchester has proven himself a master of art by using his works to champion positive change in the society. They met at the worst possible moment…or maybe it was just in time. David McClain was about to go to war and Lindsey Wood was there at his going-away party, capturing his heart when falling for a woman was the last thing on his mind. While David was serving his country, he stayed in close contact with Lindsey. But war changes a person, and when he came home very little had the same meaning that it had before – including the romance that had sustained him. Was love truly unconquerable, or would it prove to be just another battlefield casualty? He took a few deep breaths. “I’ve given this a lot of thought, and I want you to know that I’ve never lied to you…and I don’t plan to now.” He shook his head. “I’m so messed up right now, Lindsey, I can’t even explain it.” He could barely hold eye contact with her. “I really hope we can be together someday…more than you can ever imagine. But I’m just not ready yet. I…I need to heal,” he stuttered. Steven is one of my best fictional writers, his stories are real and one can connect with them.